Did someone say new menu? Kicking’ off in the MySpace heyday, All Time Low, for the better part of ten years now have been one of the worlds biggest pop punk bands. With 2017 seeing the band release their seventh studio album, Last Young Renegade, fans were pleasantly blind-sided by the bands new approach to writing, having mainly focused on the perspective of what fans believe to be the albums title-character. Featuring a cinematic sound, Alex spoke of how imagining scenes and imagery helped to curate the story. Although writing songs for films isn’t an unheard of concept for All Time Low, with the band having previously written ‘Toxic Valentine’ for the mid-2000’s ‘Jennifer’s Body,’ when asked if writing a film score/soundtrack would be a future aspiration Alex excitedly responded, “It would be so much fun to score something one day or to write songs for a movie. 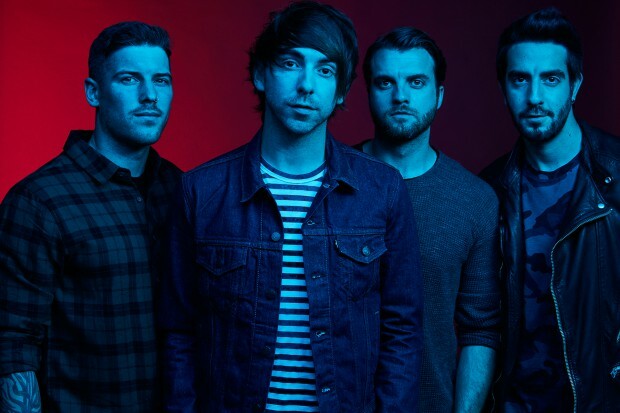 With two new singles having recently been released, All Time Low will be making their way down to Australia as one of the headliners of the first ever Good Things Festival. With it being some time since the band has made it down, they couldn’t be more excited to bring their new material to Australian fans. When & Where: Good Things Festival @ Flemington Racecourse, Melbourne – December 7.